Driving with a baby in car requires a lot of precaution and having an appropriate 3 in 1 car seat is just one of the ways you can ensure their safety. There are different variations of car seats and they’re suitable for different ages. A 3 in 1 car seat is best when buying one for the first time since it’s convertible and can be used by your child as he grows bigger. When placing your child on the car seat, you need to make sure that he is seated properly and all the locks are in their right places. 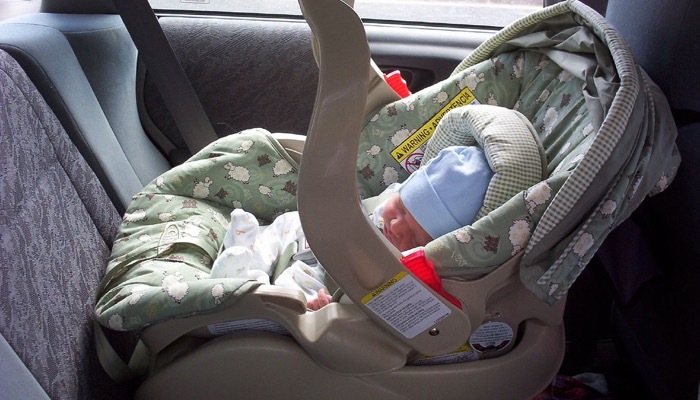 For more details, you can check these car seat safety tips for newborns up to 2 years. It’s also important that you’re well equipped when carrying your child outside. Here is a guide on the best baby carrier that you might find helpful. So how do you choose a 3 in 1 car seat? We’ve listed down the best models available according to safety, performance, and practicality. Our number one pick is the Safety 1st Grow and Go 3-in-1 Car Seat. This car seat is meant to grow with your child for extended use. You can use it for your baby’s three stages. The rear facing position can accommodate babies from 5 to 40 pounds. Forward facing position is for 22 to 65 pounds. And the booster is from 40 to 100 pounds. It has side impact protection to keep your little one safe. Its harness holders can be held back so it’s easy to take your child in and out of the seat. Both the harness and the headrest are easy to adjust as well. It takes less space in the backseat giving you more comfort. 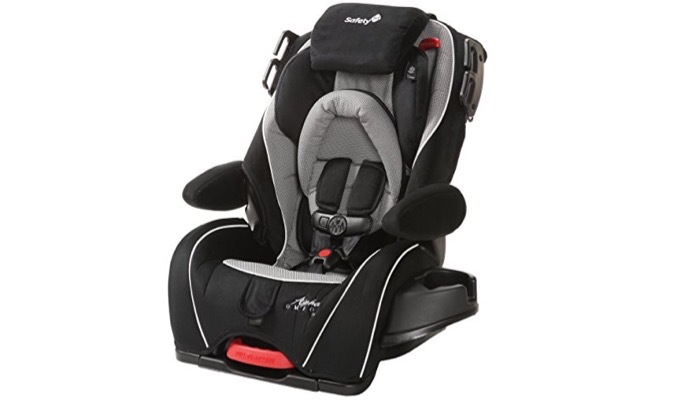 Second on our list is the Safety 1st Alpha Omega Elite Convertible Car Seat. It features 3 modes of use. You can use the rear facing from 5 to 35 pounds as well as forward facing from 22 to 50 pounds. It includes a 5 point harness to ensure the safety of your child in the backseat and it’s also easy to adjust in one simple step. It features 3 position recline so your baby can rest comfortably in different positions. The rotating arm rests of this 3 in 1 car seat are great to make more room for your child to move around. It also has a detachable cup holder. 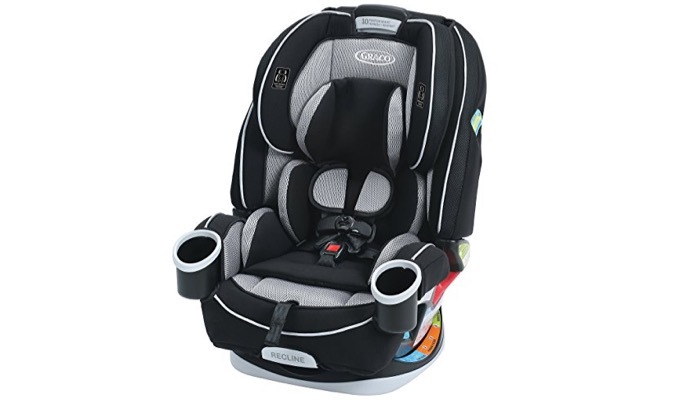 Another great option is the Graco 4ever All-in-One Convertible Car Seat if you don’t mind cashing out a little bit more. 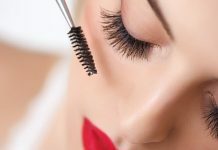 This model is a little bit more expensive than others but has great quality and added features you could use. 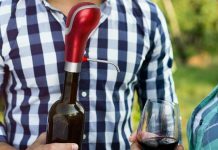 This can grow with your child up to 10 years of use, from 4 to 120 pounds so it’s also a great investment. The booster seat when converted can carry 40 up to 120 pounds. 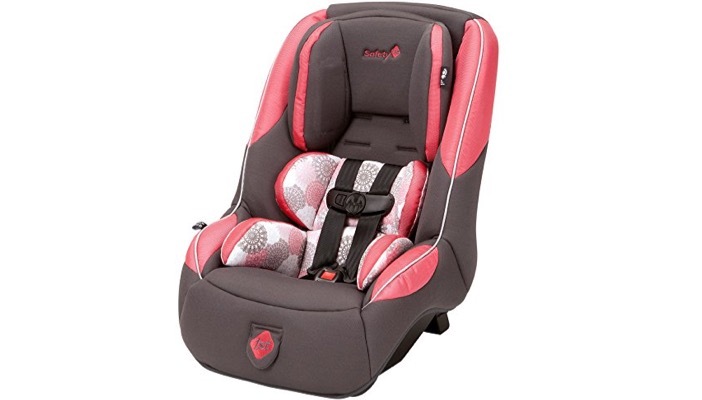 This 3 in 1 car seat has great quality and has been tested for side impact protection. The steel reinforced frame provides strength and durability for years of use. 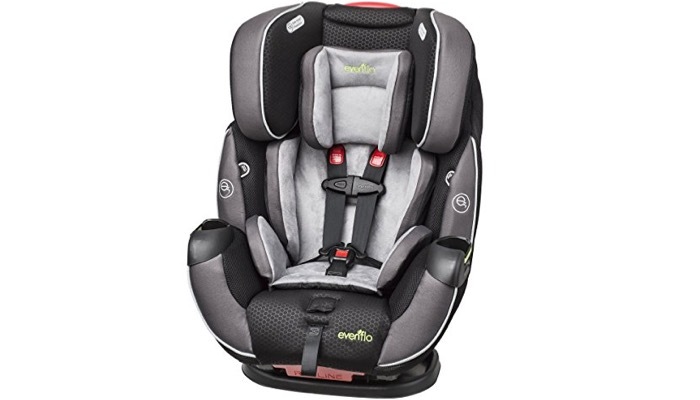 Another good choice is the Evenflo Symphony Elite All-In-One Convertible Car Seat. This car seat can fit children from 5 to 110 pounds. It has rear facing, forward facing, and booster options. The seat is easy to install in any vehicle and takes only 60 seconds. It includes a 5 point harness which slides easily for accurate adjustment. The multi position recline provides comfort for your child whether asleep or awake. It has side impact protection to reduce side impact crash force up to 50% in case of an accident. This offers 3 layers of superior expanded protection. 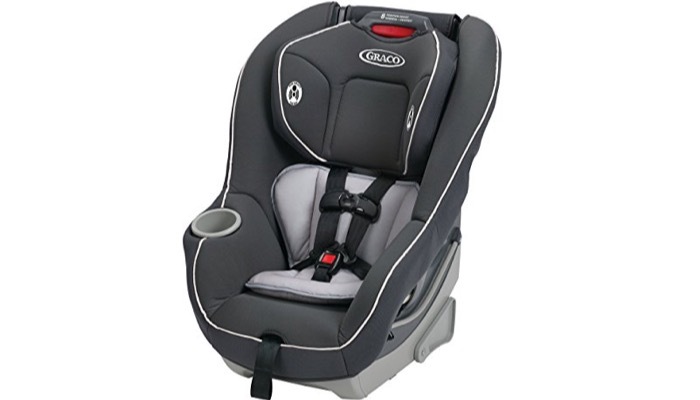 You should also consider the Graco Contender 65 Convertible Car Seat. 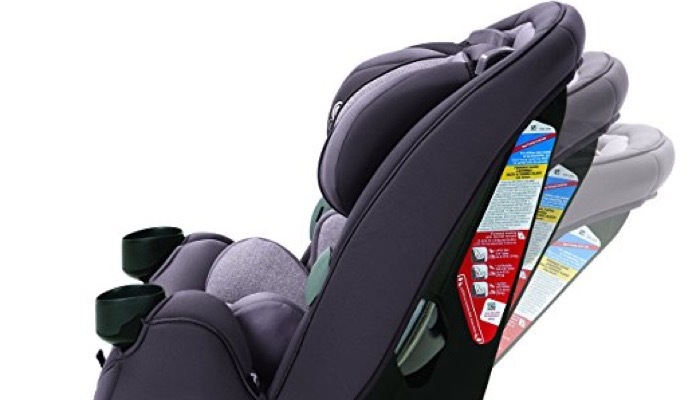 It’s designed to protect infants from 5 to 40 pounds in the rear facing position. The forward facing can fit toddlers from 20 to 65 pounds. It features an easily adjustable harness system that adds safety for your child and can be adjusted with just one hand. No rethread necessary to adjust the harness. This 3 in 1 car seat has been side impact tested and crash tested to meet and exceed US standards. The headrest can be adjusted up to 8 positions to adapt to your child’s growing needs. The most affordable option is the Safety 1st Guide 65 Convertible Car Seat. 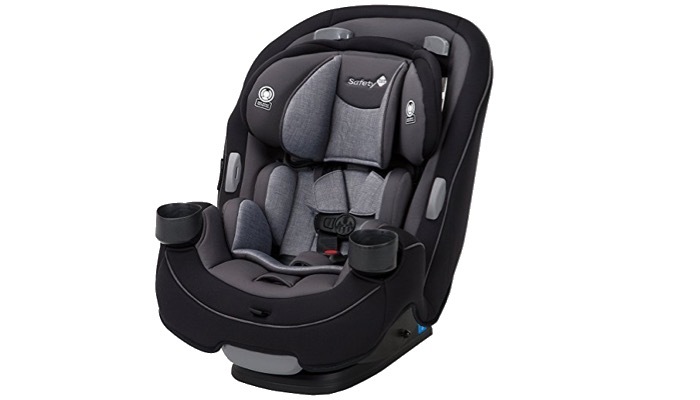 The rear facing seat can accommodate babies from 5 to 40 pounds and 19 inches up to 40 inches. While the forward facing can fit children from 22 to 65 pounds. 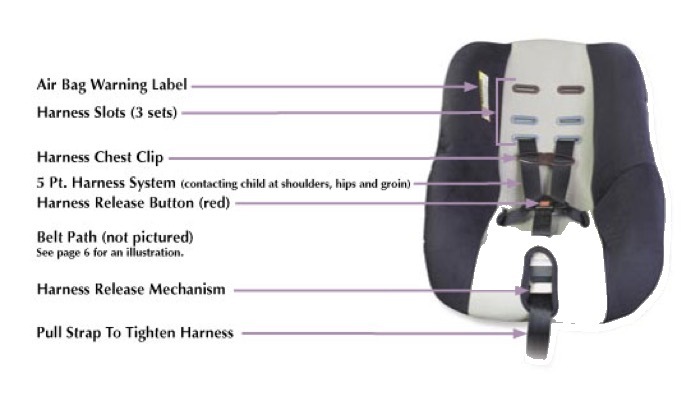 It features 5 harness heights and 3 buckle locations to fit it accurately for your child. This means improved safety. It also features side impact protection. This seat is suitable for smaller cars because of its compact design. You can fit up to 3 of these car seats on the backseat. It also has a removable cup holder for their sippy cups and bottles. Choosing the right 3 in 1 car seat depends on the size of your child as well as the space you have in your car. There are other considerations as well. The reason you’re getting a car seat is first of all, to ensure the safety of your child no matter what happens while you’re driving. You need to make sure that the seat is safe. One of the things to look for is the side impact protection. This means that the 3 in 1 car seat has an energy absorbing foam to protect your baby’s head and chest in case of a side impact accident. A 5 point harness includes 5 straps. Two for shoulders, hips and one between the child’s legs. This would ensure more safety for your kid as you drive. Make sure though that this harness is easy to adjust and that you don’t need to rethread so that you can easily take your baby in and out of the car seat. Make sure that the seat is well padded with enough head support to give your baby a better ride. It would also be great if the headrest can be adjusted to multiple positions so that your child can rest comfortable whether he’s sleeping or awake. If you’re going to invest in a 3 in 1 car seat for the first time, make sure to check the expandability of the seat so you get the most of your money. Some more expensive models can accommodate bigger kids up to 120 pounds so it will last for a long time.